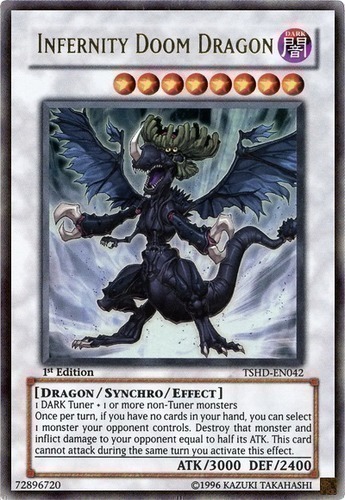 Once per turn, if you have no cards in your hand, you can select 1 monster your opponent controls. Destroy that monster and inflict damage to your opponent equal to half its ATK. This card cannot attack during the same turn you activate this effect.